If the name Erewhon doesn't ring any bells, just know this: To those of us who reside in Southern California, few things are more synonymous with L.A.'s forward-thinking wellness scene. The organic grocery store can be best described as Whole Foods to the nth power—a revered destination for health-minded celebrities, fitness influencers, and run-of-the-mill wellness enthusiasts alike. Behind the scenes, Erewhon's team works exceedingly hard to ensure that the franchise is at the forefront of every fledgling wellness trend, from CBD to adaptogens to sustainable skincare. To us, the quintessential Erewhon customer is the self-described health nerd—the person in your life whose shelves are lined with Michael Pollan books and exotic-sounding superfood powders, who can rattle off the science behind myofascial release as well as cannabis. We crafted this list of must-have wellness gifts with this friend in mind—no Los Angeles zip code required. 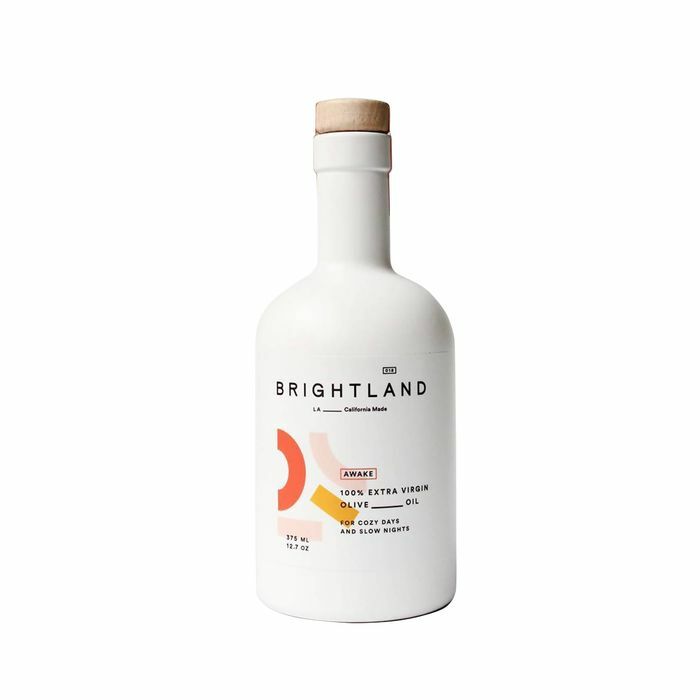 By emphasizing top-notch quality and gorgeous aesthetics, the folks behind Brightland have managed to convert a no-frills cooking staple into something downright covetable. Our friends over at cult-beloved wellness destination CAP Beauty know a thing or two about finding a natural glow with the help of superfoods and herbs. Their latest tome extends that knowledge to the masses. The Erewhon team tells us that CBD is one of the fastest growing categories at the store. This roll-on oil is great for the cannabis novice. Apply a little bit the next time you're overwhelmed at the office, and feel your stress melt away. For the friend who never skips out on a matcha latte, might we suggest gifting them with a DIY starter set? This traditional bamboo whisk is designed to thoroughly blend matcha powder into hot water, giving it a luxuriously frothy finish—no barista necessary. In the realm of crowd-pleasing gifts, can we agree that chocolate is a no-brainer? Hu Kitchen's bars are beloved for being paleo, vegan, and unbelievably delicious. The meal-delivery market is more crowded than ever, but Daily Harvest's highly convenient (and consistently delicious) frozen smoothies and bowls rise above the fray. Store them in your freezer, blend (or heat), and go. We have a feeling that Vitruvi's gorgeous porcelain diffuser will be topping more than a few wish lists this year. For the adaptogen-curious, Moon Juice's signature dust collection makes for the ultimate healthy gift. We're big fans of this ultra-versatile carafe, which functions as a pour-over coffee set, tea strainer, and more. Better yet: The double-paneled glass insulates hot beverages without burning your hands. Save this book for the self-described wellness nerd in your life. By the founder of the beloved mushroom coffee brand Four Sigmatic, it details all the fascinating benefits of medicinal mushrooms and how to incorporate the healing powerhouses into your life. Next up: seven healing bath products that will transform your tub time for the better.